Everyone knows someone who loves the combination of sweet and salty. Everyone knows someone who loves the combination of sweet and salty. 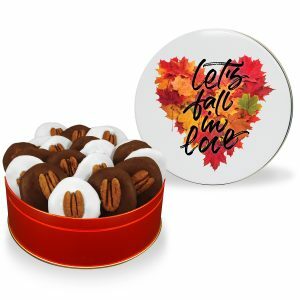 This Encouragement Sweet & Salty Chocolate Explosion Tin is perfect for them, and includes chocolate, too! 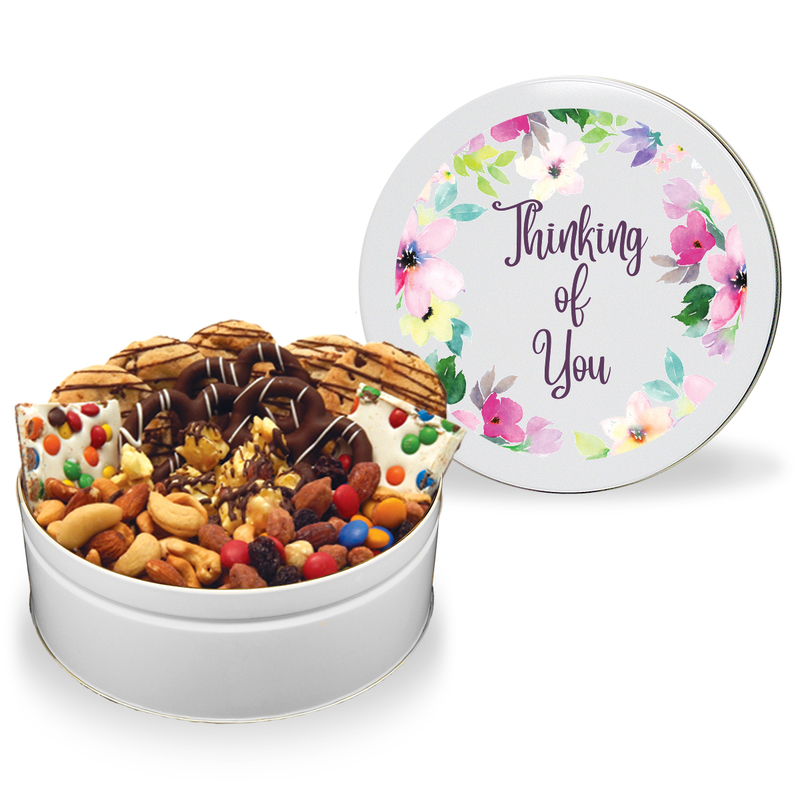 Choose a beautiful stock tin design to sweeten someone’s day. Small: 2 fresh-baked dreamy drizzle chocolate chip cookies, 1 oz. candy bark, 5 mini chocolate pretzels, 2 oz. sweet & nutty trail mix, 1 oz. chocolate drizzled toffee crunch popcorn and 2 oz. fancy mixed nuts. 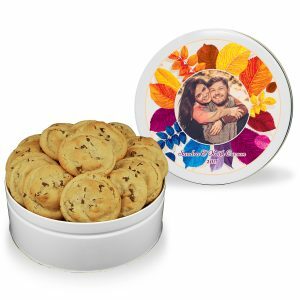 Regular: 5 fresh-baked dreamy drizzle chocolate chip cookies, 2 oz. 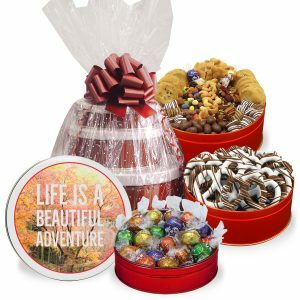 candy bark, 3 mid-size chocolate pretzels, 3 oz. sweet & nutty trail mix, 2 oz. chocolate drizzled toffee crunch popcorn and 3 oz. fancy mixed nuts. Large: 8 fresh-baked dreamy drizzle chocolate chip cookies, 4 oz. 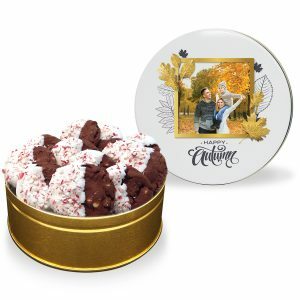 candy bark, 12 mid-size chocolate pretzels, 8 oz. sweet & nutty trail mix, 4 oz. chocolate drizzled toffee crunch popcorn and 8 oz. fancy mixed nuts. Cold Packing Required. Please call (229) 469-9908 to order this item.